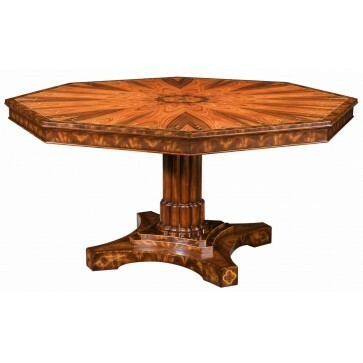 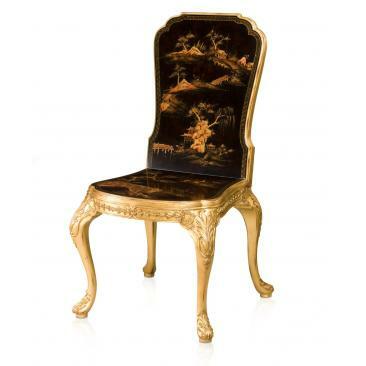 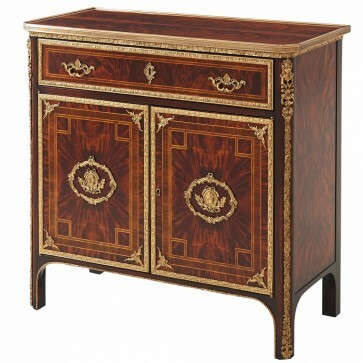 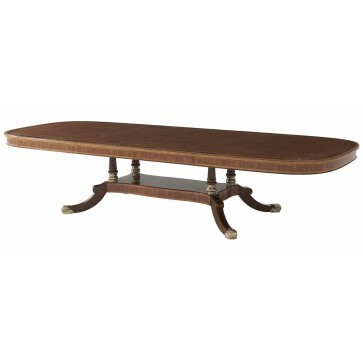 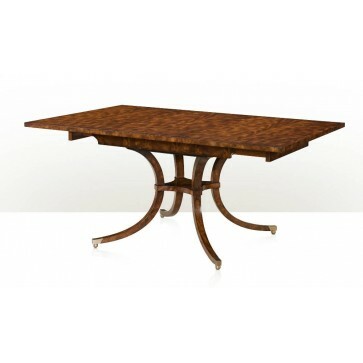 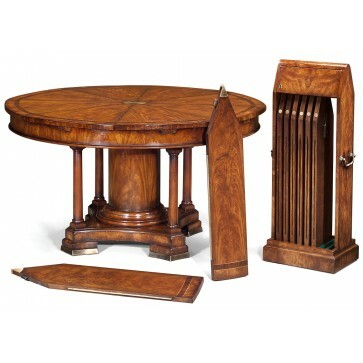 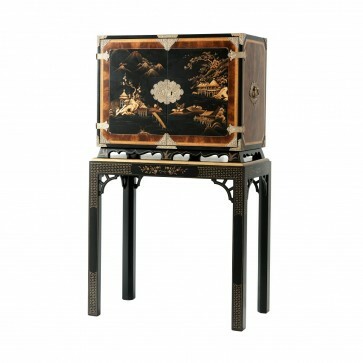 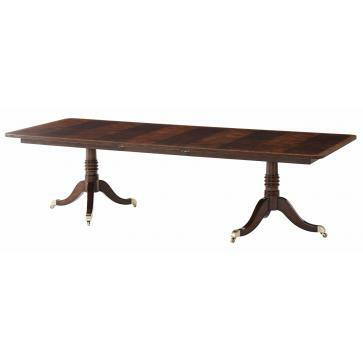 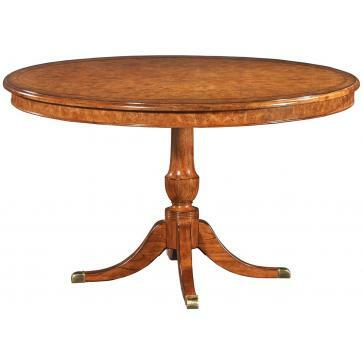 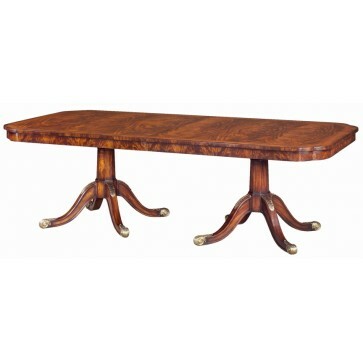 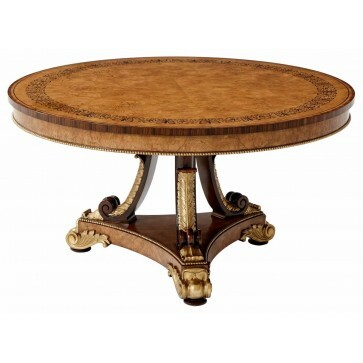 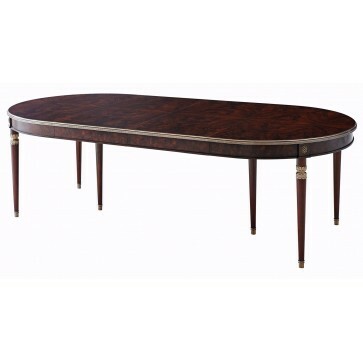 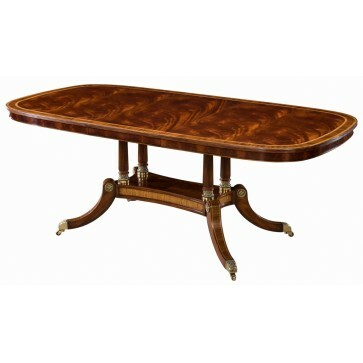 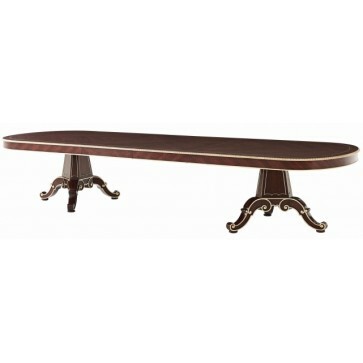 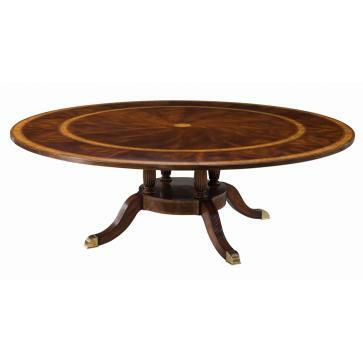 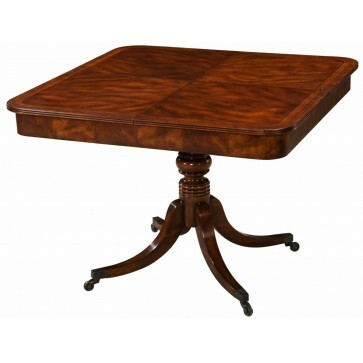 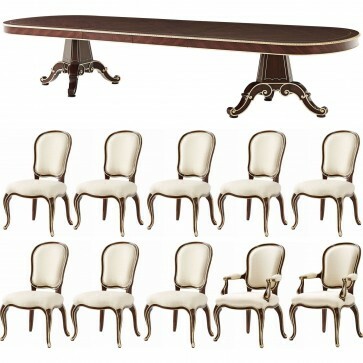 From breakfast tables to boardroom tables in classical designs inspired by Regency to Art Deco. 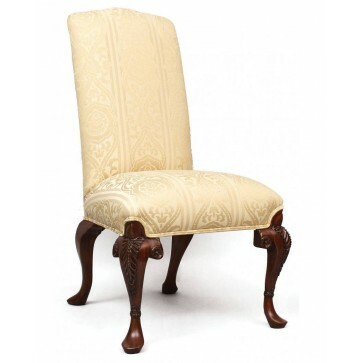 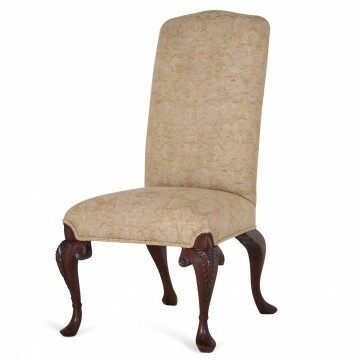 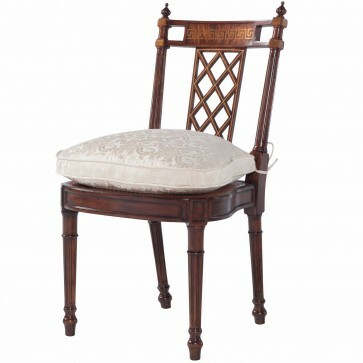 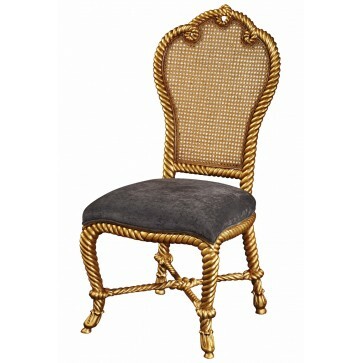 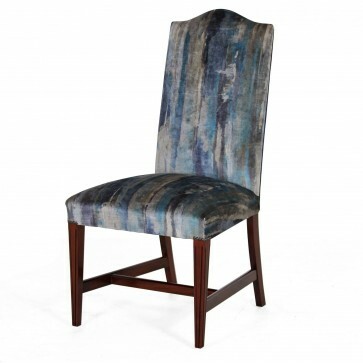 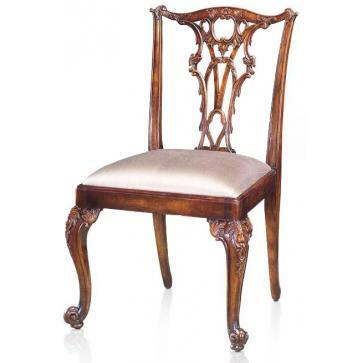 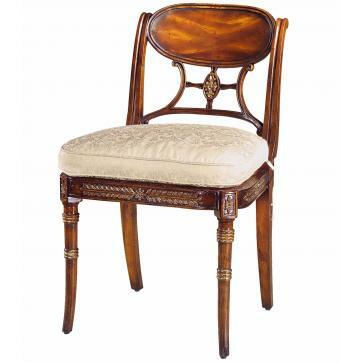 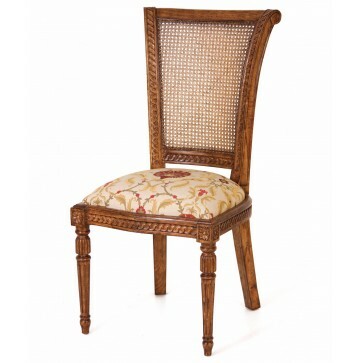 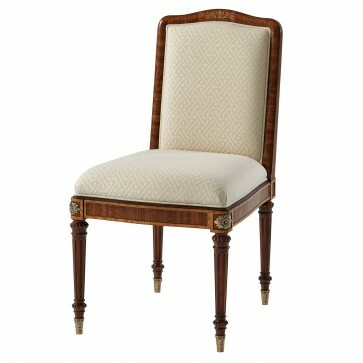 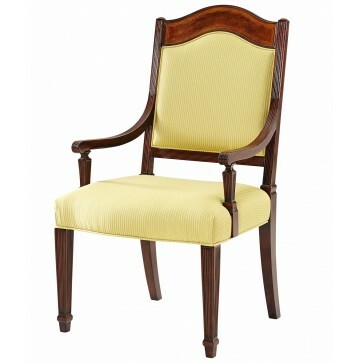 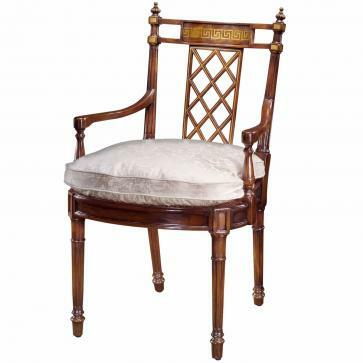 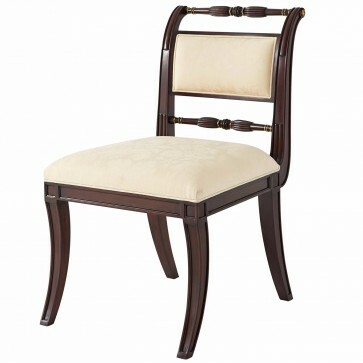 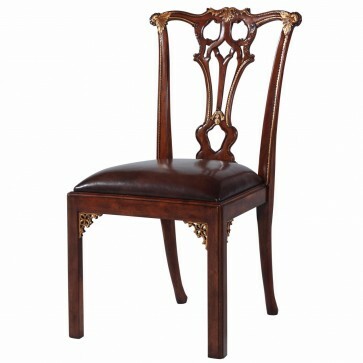 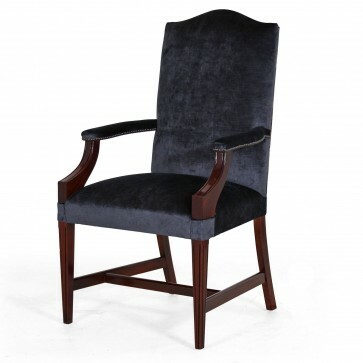 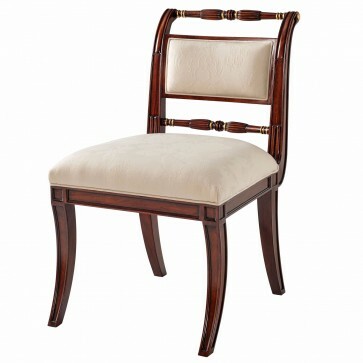 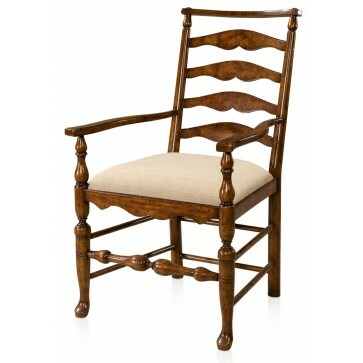 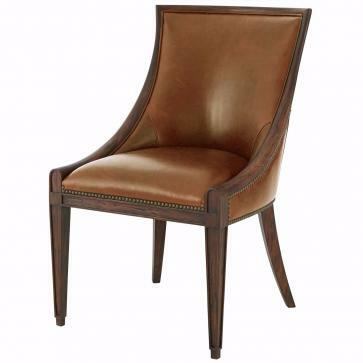 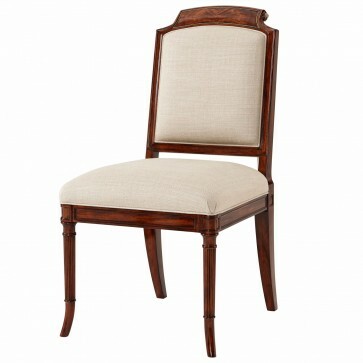 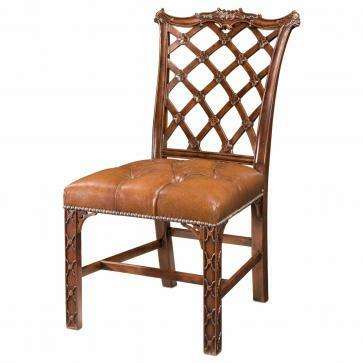 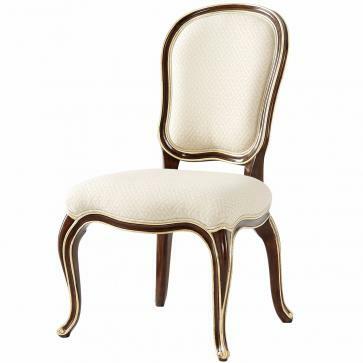 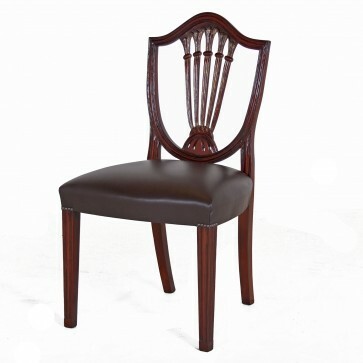 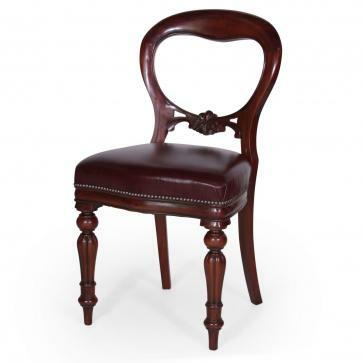 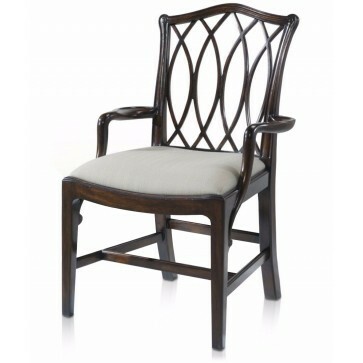 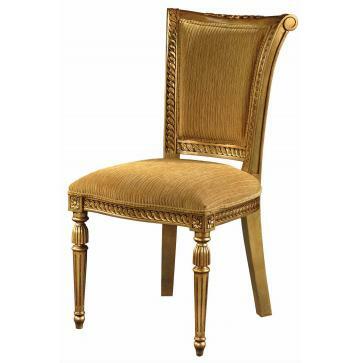 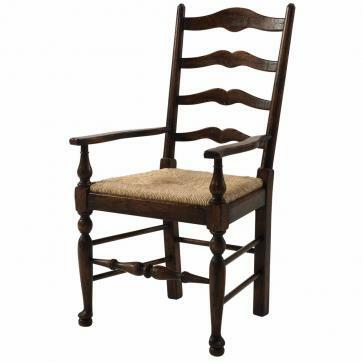 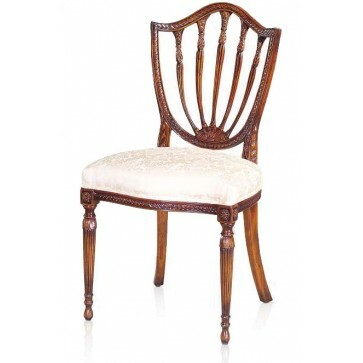 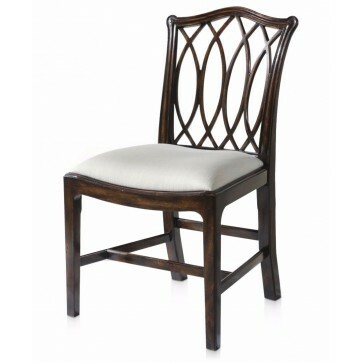 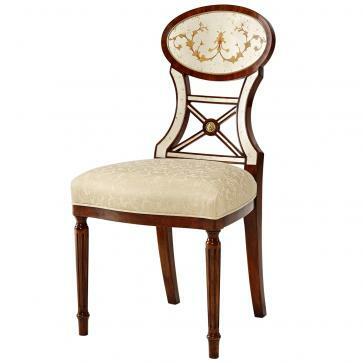 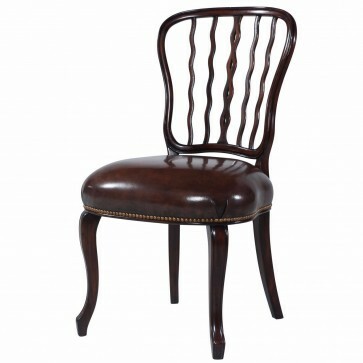 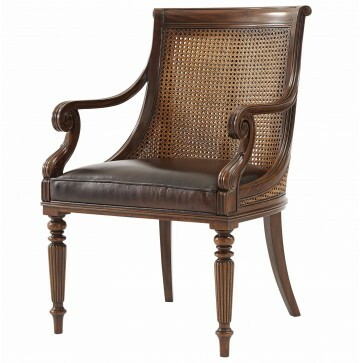 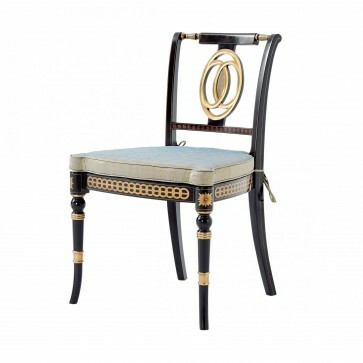 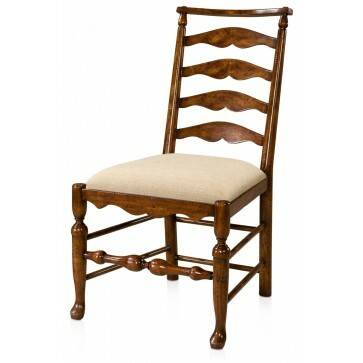 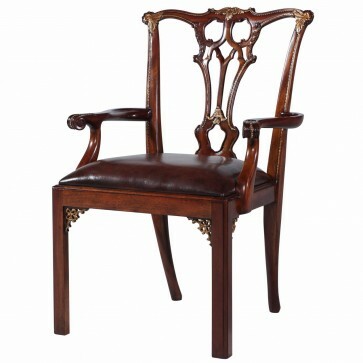 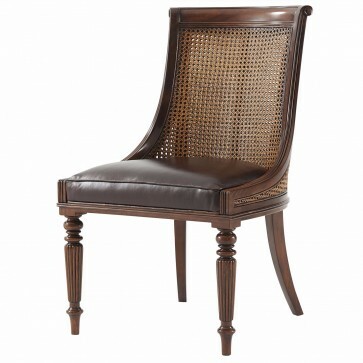 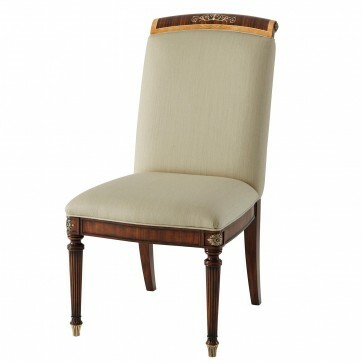 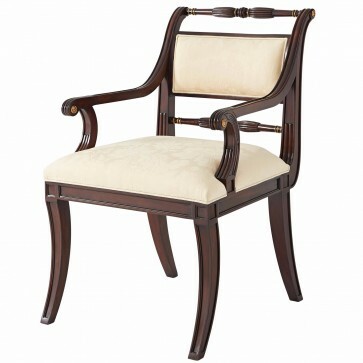 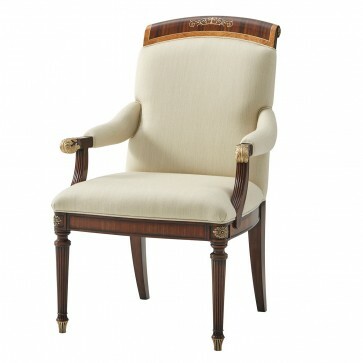 A variety of exquisitely crafted classic dining chairs to suit any setting. 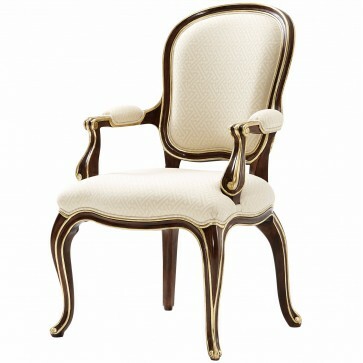 Elegantly classic to balance splendour and comfort. 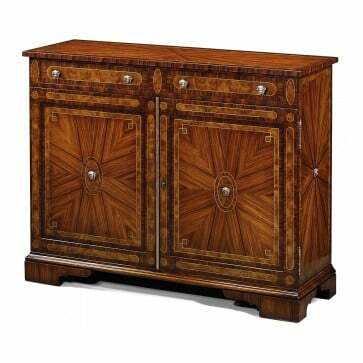 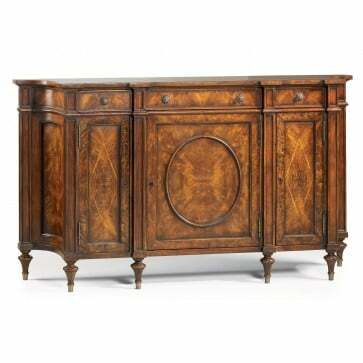 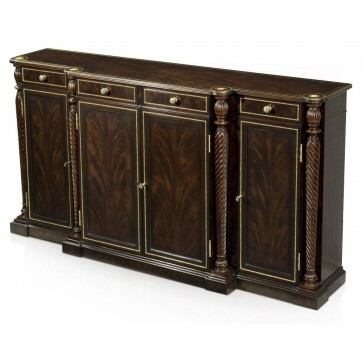 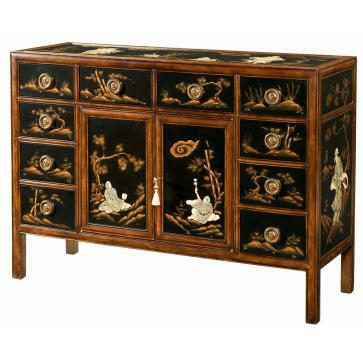 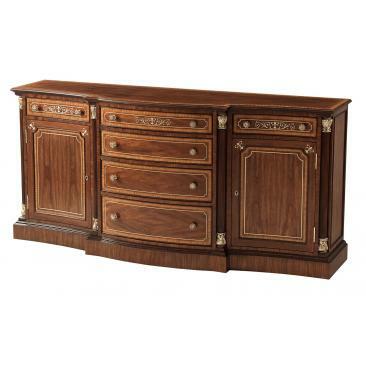 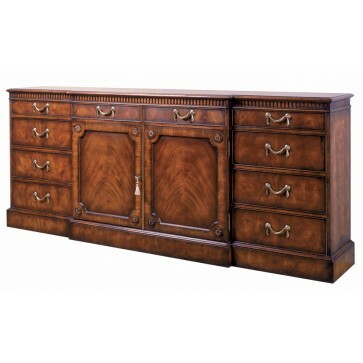 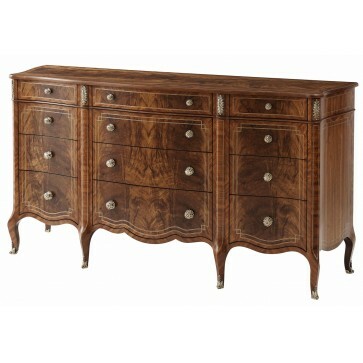 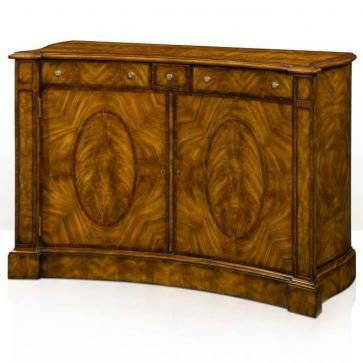 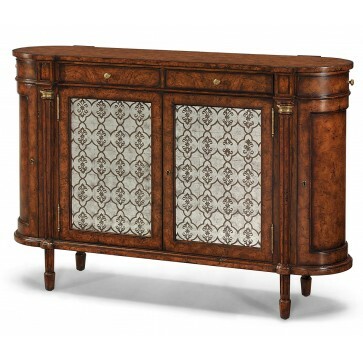 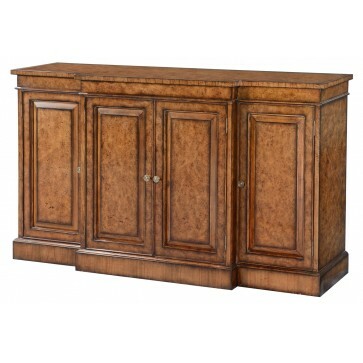 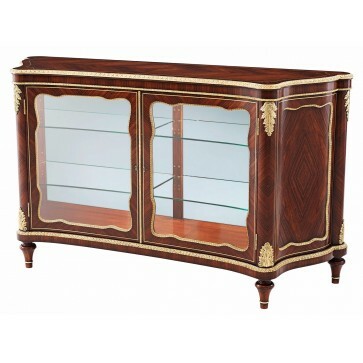 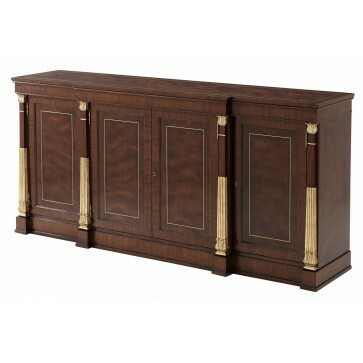 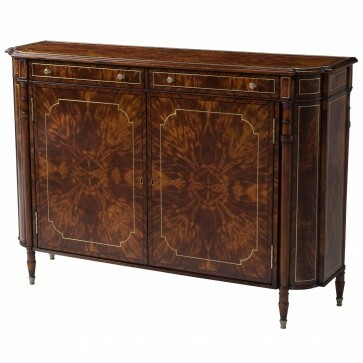 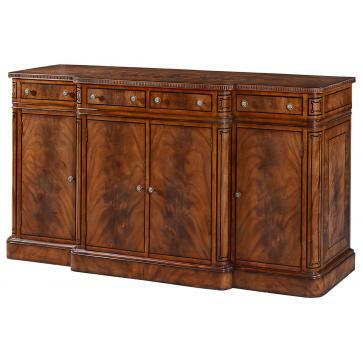 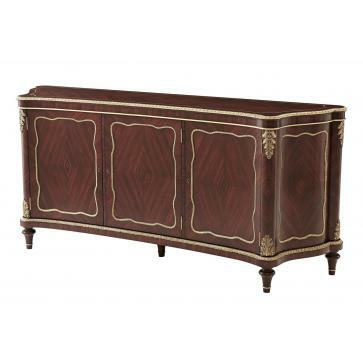 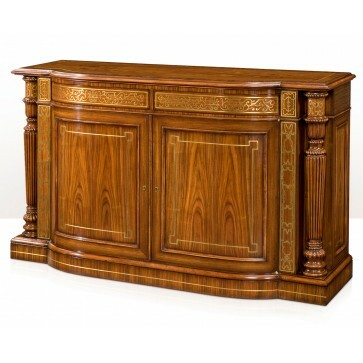 Classic sideboards, side Cabinets, Credenza, Chiffonier & Dressers, beautifully crafted with decorative veneers. 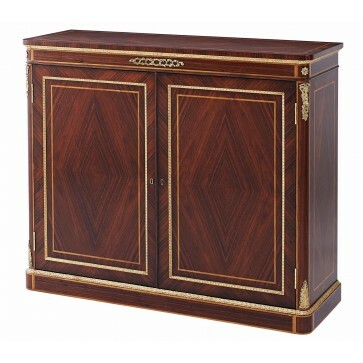 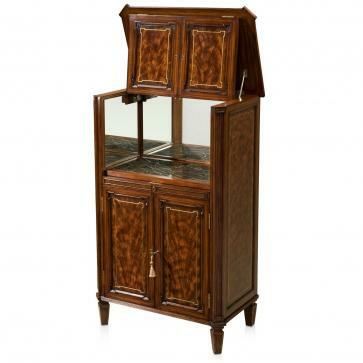 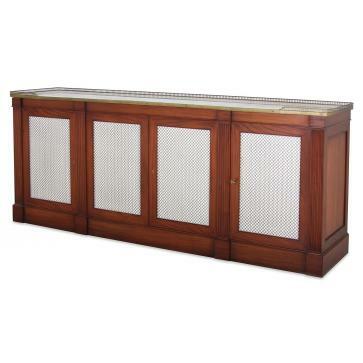 Classic drinks cabinets in both elaborate and simple designs, all hand made to the finest quality. 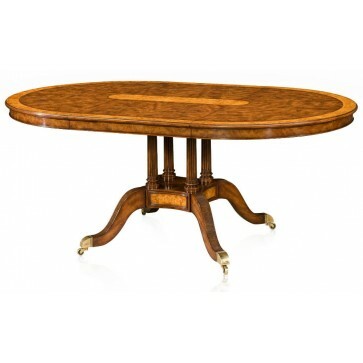 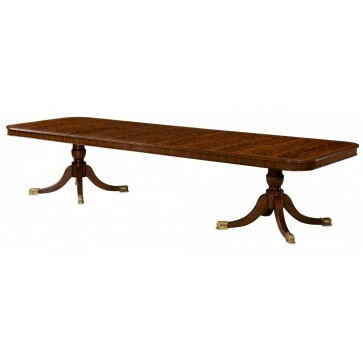 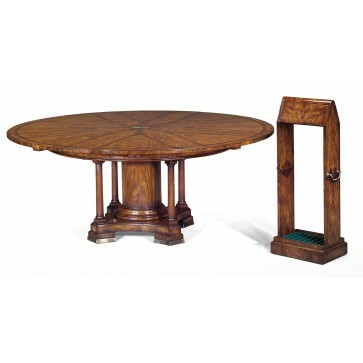 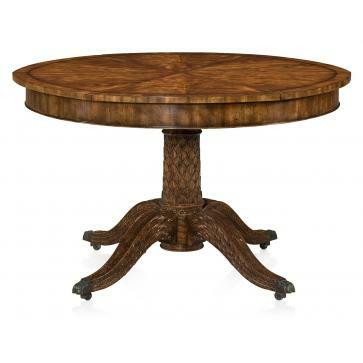 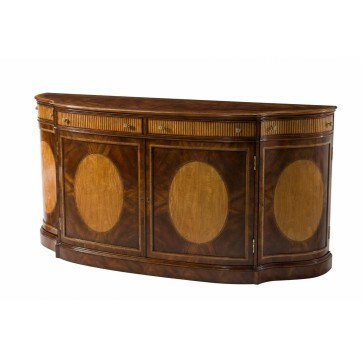 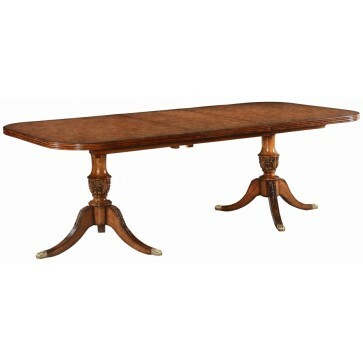 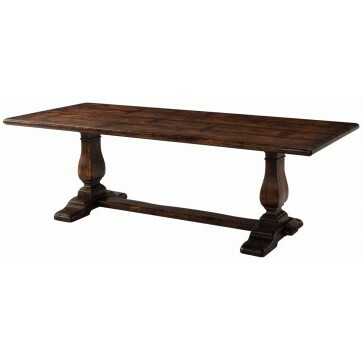 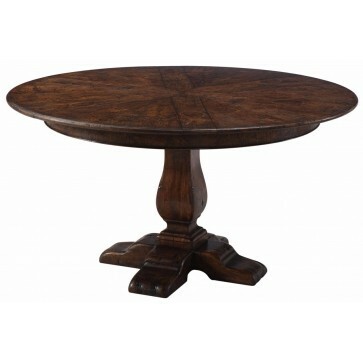 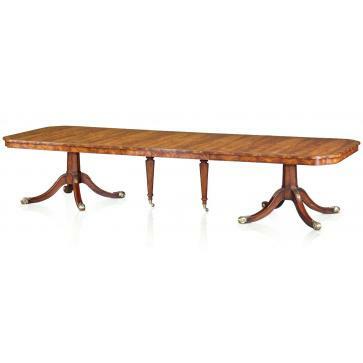 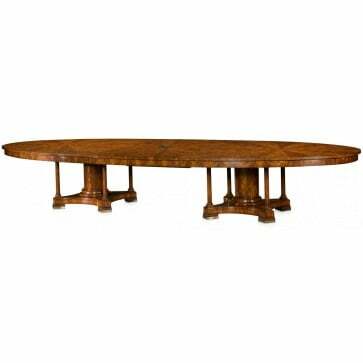 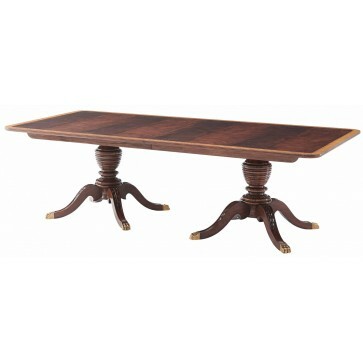 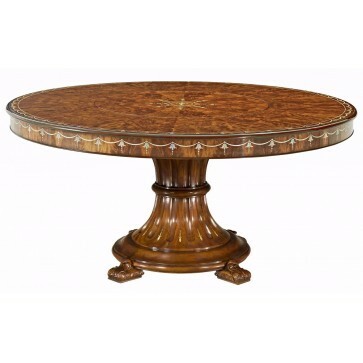 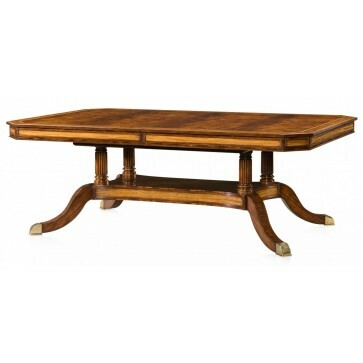 Including solid oak, decorative walnut and mahogany dining tables, chairs, Jupe's extending round dining tables as well as beautifully finished sideboards and cocktail cabinets. 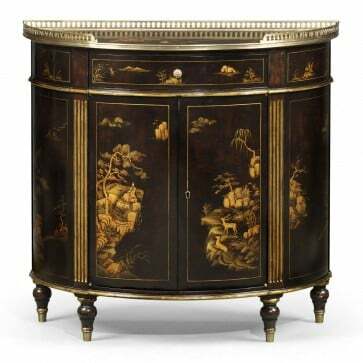 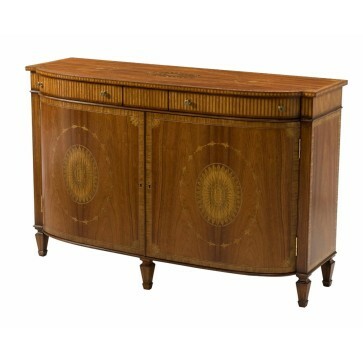 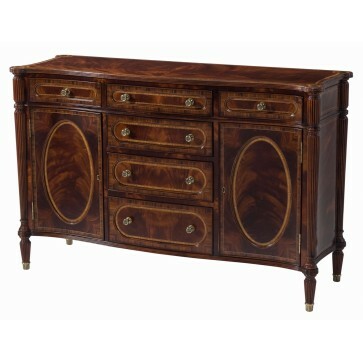 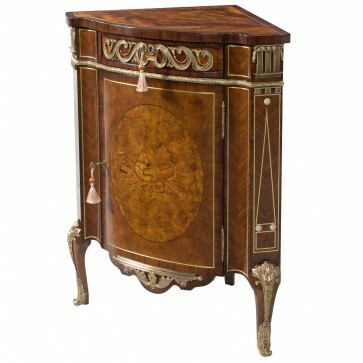 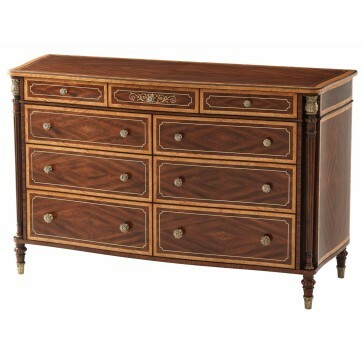 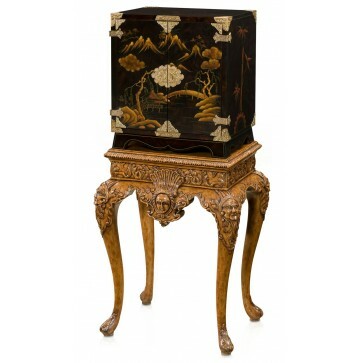 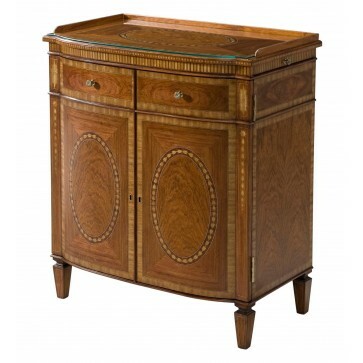 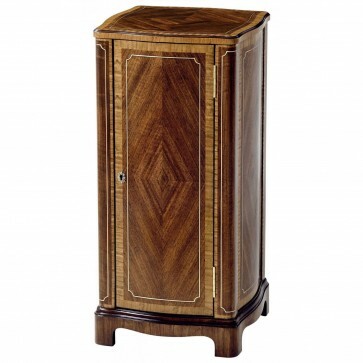 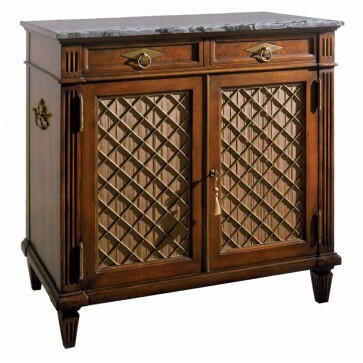 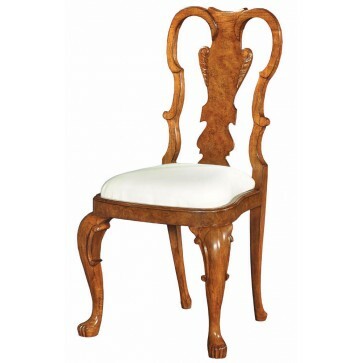 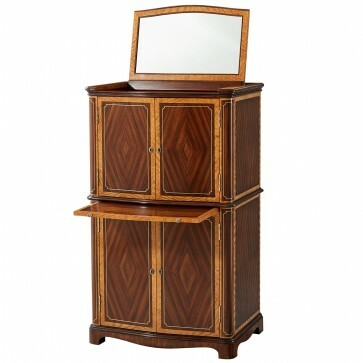 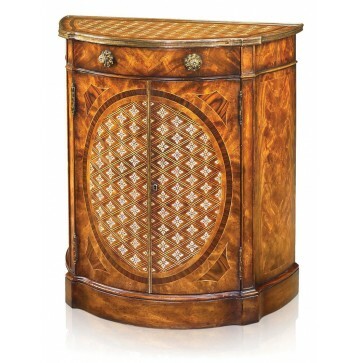 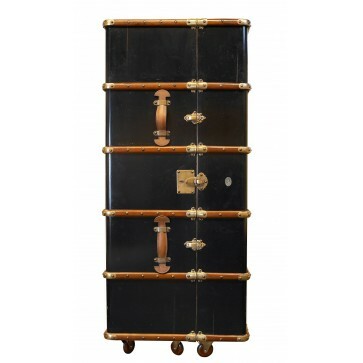 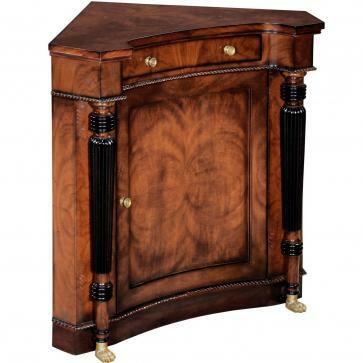 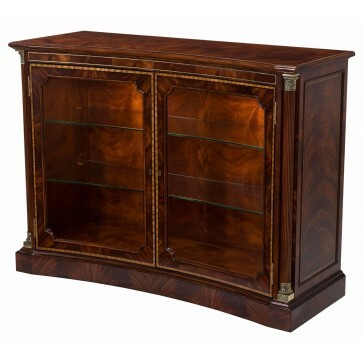 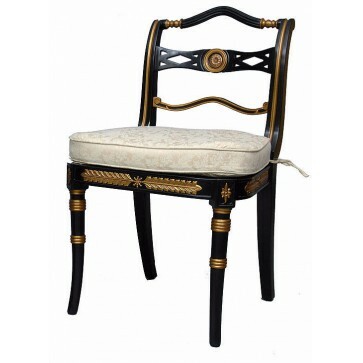 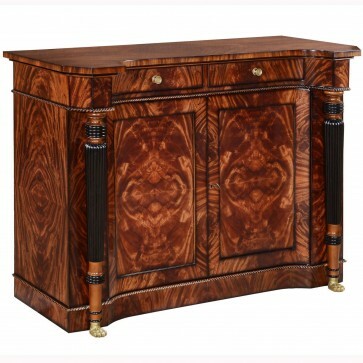 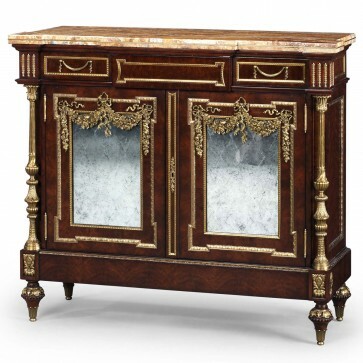 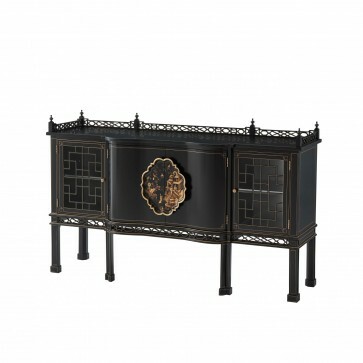 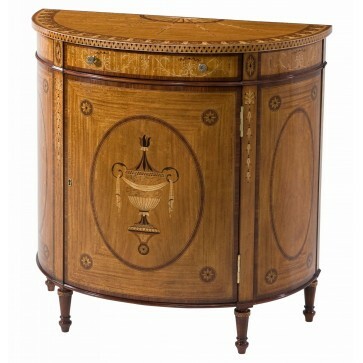 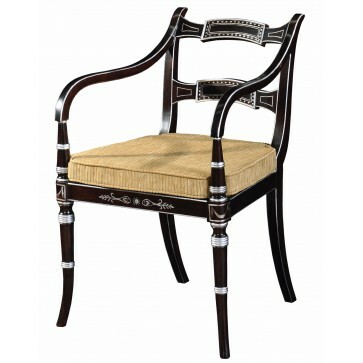 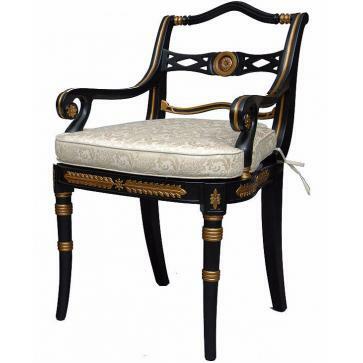 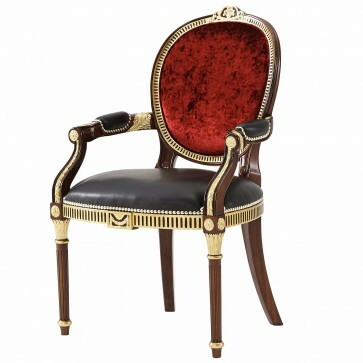 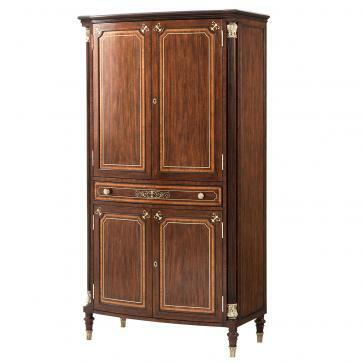 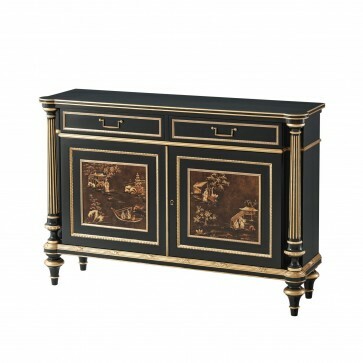 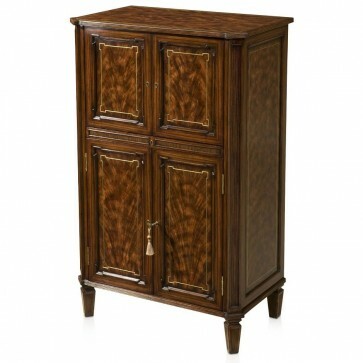 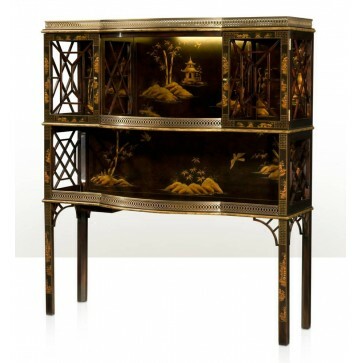 All our pieces are in an English or European style, referencing classic furniture from the Georgian, Regency, Victorian, Edwardian and Art Deco periods. 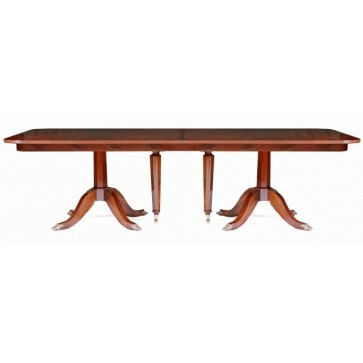 We also undertake commissions for bespoke dining tables, bespoke sideboards and all other dining furniture. 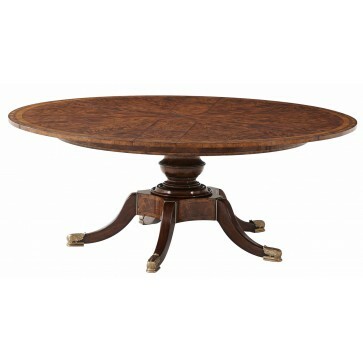 We have vast family archives of classic English antiques to draw on.